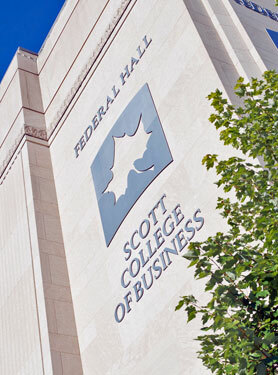 Entering or continuing student in the College of Business. Preference given to student preparing for a career in real estate or majoring in business. The John C. and Jennie J. Figg Scholarship was established in 1982 by John C. and Jennie J. Figg of Terre Haute. Mr. Figg, a realtor, built his John C. Figg Agency into one of the leading real estate firms in Indiana. Mr. and Mrs. Figg had a great interest in promoting the education of young people, and they created this scholarship fund to provide financial assistance to worthy students in the ISU College of Business. Mrs. Figg died in August 1995 and Mr. Figg died in April 1999.